Looking for your chance to win a car and support a great cause? Then look no further than the Act for Kids Lottery draw 75 offering you the chance to win your choice of Mercedes-Benz GLA45 4MATIC or C300 Coupe. First prize includes your choice of brand-new Mercedes-Benz GLA45 4MATIC or C300 Coupe, valued at $96,109.36. Plus, up to $2,500 toward insurance, rego, and accommodation and flights to Brisbane to collect your new car or transport of your vehicle to you. Just ask the lucky winner of Draw 73, Kylie from QLD. Kylie is a long-time supporter of Act for Kids cause and never thought that her ticket could win. However, Kylie’s generosity was rewarded when her ticket was drawn as the winner! Upon learning the news, she was so excited, she could only laugh. 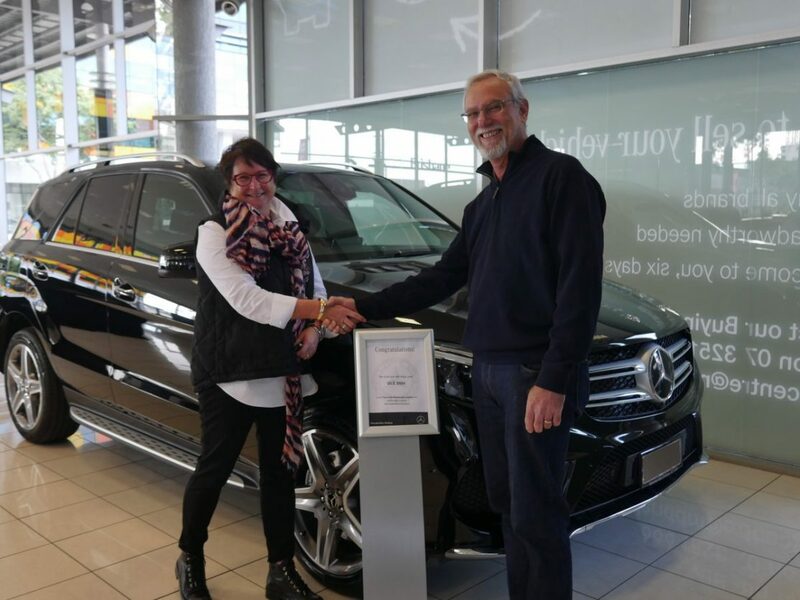 Having never dreamed she could win a car and only entering to support the work of Act for Kids, Kylie could not be more amazed driving away in her new luxurious black Mercedes-Benz GLE250D SUV. $100 of tickets – 3 chances to win, holiday voucher or platinum bullion, valued at $10,000. $150 of tickets – 4 chances to win, holiday voucher or platinum bullion, valued at $15,000. $200 of tickets – 6 chances to win, holiday voucher or platinum bullion, valued at $20,000. $250 of tickets – 7 chances to win, holiday voucher or platinum bullion, valued at $25,000.